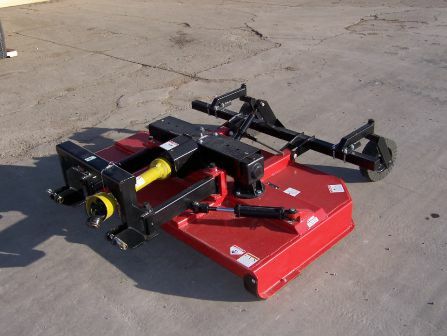 Tebben Variable Offset Rotary Cutters feature a hydraulic cylinder and pivoting hitch that offset the machine up to 14". 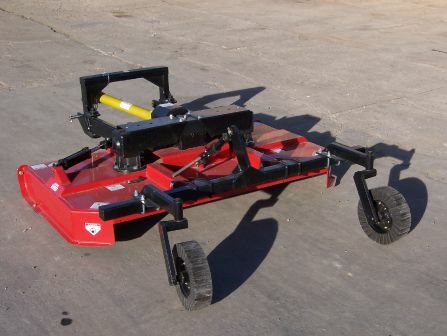 Offsetting the cutter keeps your tractor away from obstructions allowing you to mow closer. This machine features a 120hp center gearbox with 75hp outboard gearboxes. Chain guards are optional.